Shebeen Club March Meeting: CSI Shebeen Club! Interested in writing crime fiction or mystery novels but feeling unprepared for conveying the fine details of investigation and forensics? Join Chris Mathieson, Executive Director of the Vancouver Police Museum, as he introduces you to policing and the forensic sciences. Bring your questions, and he’ll do his best to answer them. 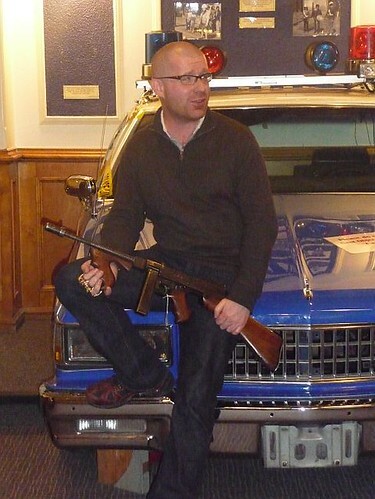 The Vancouver Police Museum is an independent non-profit organization and registered charity dedicated to telling the history of lawlessness and law enforcement in Vancouver. 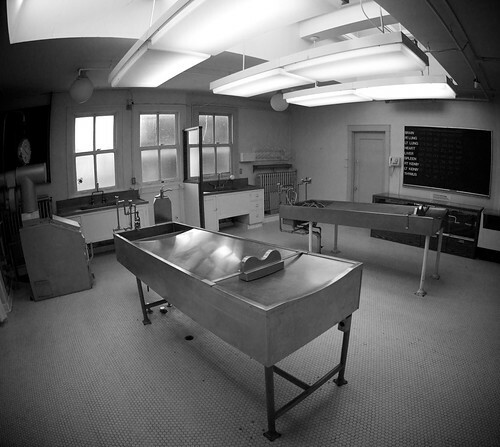 It also happens to be housed in Vancouver’s former city morgue and Analyst’s lab. In addition to its many popular programs for children, it also offers adult oriented tours on the history of vice crime (Sins of the City) and has recently announced a workshop series called “Forensics for Adults” that explores topics such as forensic pathology, blood spatter and ballistics. About our presenter: In addition to being Executive Director of the Police Museum, Chris has also been a blacksmith, a philosopher, a university mascot and a neuroscientist. Mind you, he claims not to be as interesting as that sounds. $20 buys you dinner and one drink, preregistration is not required but please do bring cash. We have the back corner of the Shebeen reserved for us. See you then! Surgical masks and latex gloves optional. This entry was posted in BC, Books, Downtown Eastside, Events, Literary, Monthly Meetings, Reading, Salon, Shebeen Club, Vancouver, Writing and tagged Add new tag, Forensic science, Gastown, Police, Vancouver Police Museum. Bookmark the permalink.